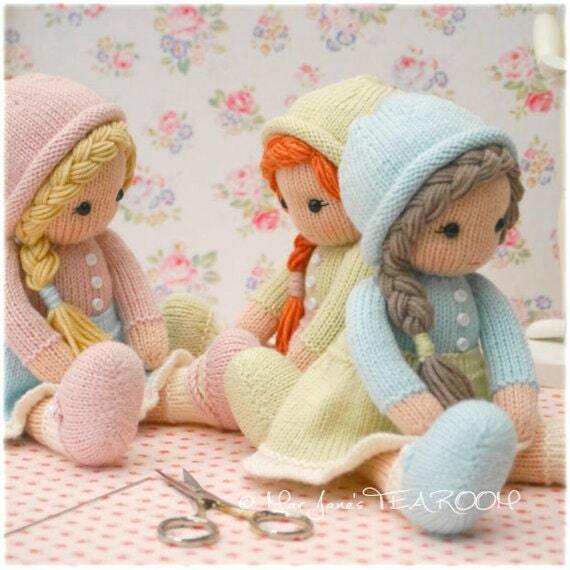 Pattern is written ONLY in ENGLISH and can be INSTANTLY downloaded following purchase. Hair is extremely quick and easy to apply and hat is sewn in place. Finished 'TEAROOM Doll' Height: 11"
Her patterns are always wonderful. She makes them so easy and they always turn out great, and look just like the pictures. Anxiously waiting for the next one !! I was not sure my skills would be up to trying this pattern, but the helpful, clear and easy to understand instructions complete with video links is going to make this a very wonderful experience.